Style and Sophistication abound with this Beautiful Sterling Silver Pendant with one Rhinestone accent. 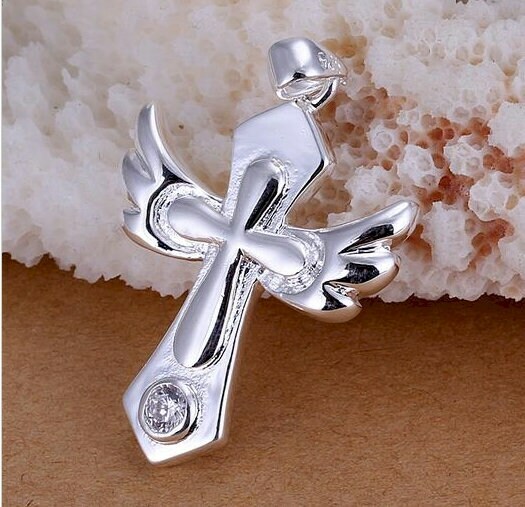 Silver Beautiful Angel Wing Cross. 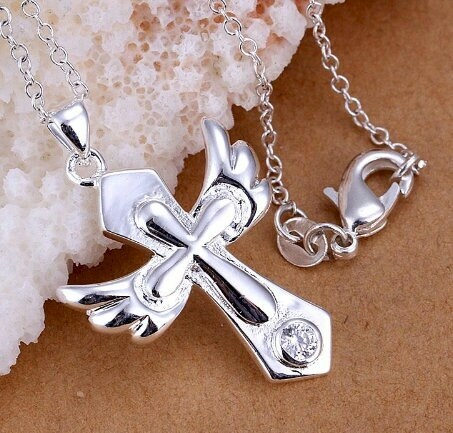 Sterling Silver Plated Pendant. 17” 18k White Gold Plated Chain with positive locking lobster clasp. A Saint Michaels Jewelry exclusive. 1 1/4" long x 1" wide.